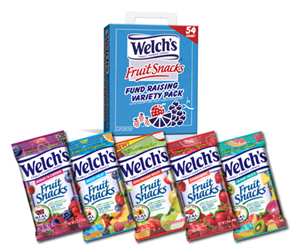 These Welch’s Fruit Snacks are brought to you by Van Wyk. These are a healthy fundraising choice. Still sweet, but good for you, too. Each case has 2 handy carrier boxes. Each carrier has 54 pouches with a variety of flavor choices. They sell for only $1 per pouch. And, FREE Shipping. It’s easy to place your order online or give us a call. Happy selling! Order Online or call (1-866-826-0944) to order, approx. 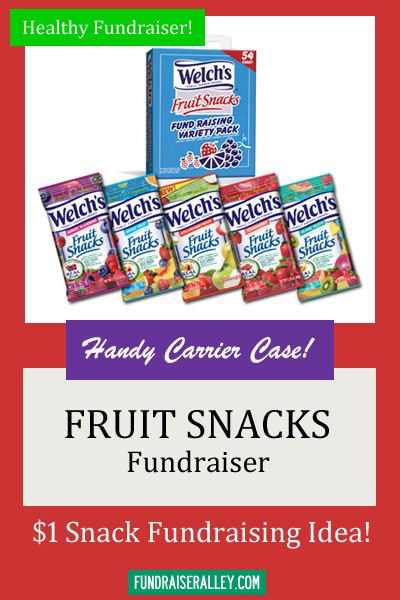 1 carrier kit per fundraising participant. We ship items to you, and you distribute to your participants. Participants sell at school and events, and to friends and family. Your group keeps the profits! 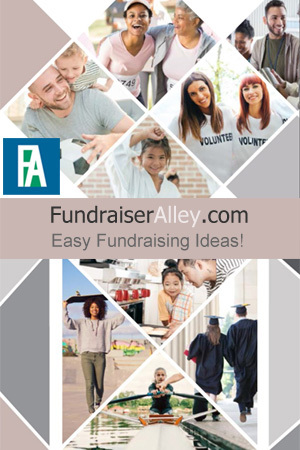 This fundraiser will earn from 40% to 50% profit. Price per case decreases with the number of cases ordered, meaning your net profit will increase if you order more cases. How Many Cases Should You Order? Order at least one carrier kit per participant. If you’re close to the next level, we recommend that you order high to take advantage of the lower cost per case. The selling price is so low that you won’t have any trouble making sales. There is a minimum order of 2 cases and you can only order full cases. Remember: There are 2 carrier kits in each case. It’s Easy! You can order online or phone us (1-866-826-0944) to place your order. You have several options of payment. If you are ordering online, you can pay by major credit card, Pay Pal, or School Purchase Order. If paying by mail, you can also use a check, money order, or certified check. You will receive FREE Shipping, which gives you more profit. Your delivery should arrive in about 3 – 5 days. This yummy, yet healthy, snack is a great fundraising idea for small groups to sell at school or for sports teams to sell at the concession stand or pep rallies. There is a fruit flavor for everyone’s taste.